South Coast Optometry is proud to prescribe ChromaGen – the only FDA approved visual aid for patients with visual reading difficulties associated with dyslexia and color deficiencies, commonly known as color blindness. ChromaGen is a patented lens technology that can be prescribed for eyeglasses or contact lenses and can easily be incorporated into an existing prescription. The lenses can be fitted to any traditional eyeglass frame and have a neutral grey appearance. South Coast Optometry was recently featured in a Practitioner Spotlight on the We Read Better website. Read the interview with Dr. Quon now. Our optometrist in Costa Mesa, CA offers a simple survey to determine if you could benefit from using the ChromaGen lenses. Once approved, we will schedule an in-office exam to prescribe the correct ChromaGen lenses for you. The lenses have the appearance of neutral gray and you can wear them as contact lenses, eyeglasses and or we can incorporate ChromaGen into your existing prescription. Would you like to experience the colors of a dramatic sunset like everyone else? 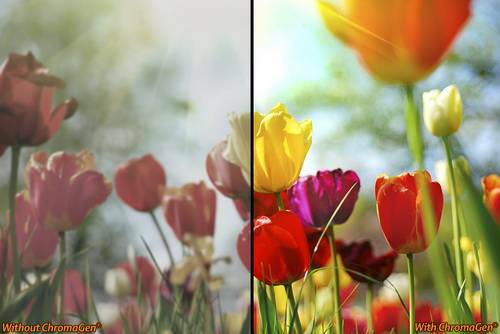 If you want to See a Whole New World of Color with ChromaGen lenses, call South Coast Optometry at (714) 540-2020 or schedule an appointment now.